Events bring people together. And then we bring them even closer. Enter our mobile escape room and step into another world. We bring the escape room to you. We can set-up rapidly on-site and operate with minimal power required. 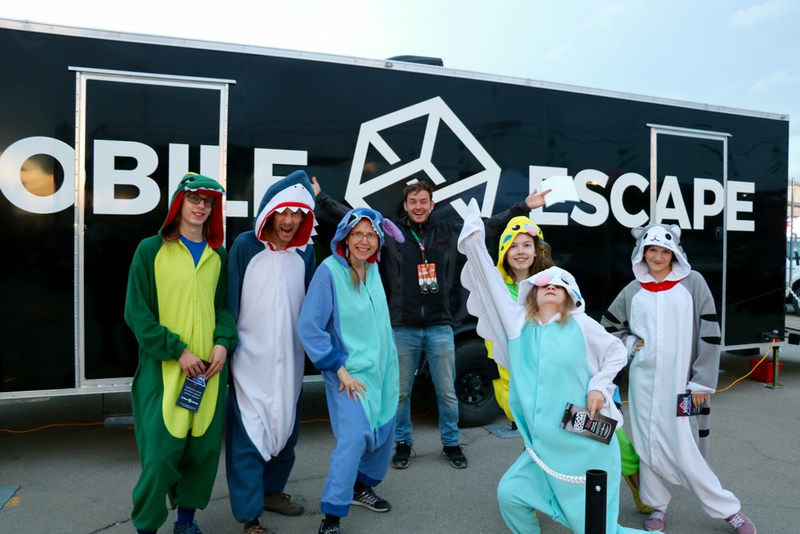 Our mobile escape room units are equipped with HVAC and insulation ensuring guests are comfortable on cold or hot days. Puzzles and games are nothing new, but the escape room craze is in full swing. Starting in 2007, escape rooms grew from an obscure activity in Japan to a global phenomenon in less than 10 years. With brick-and-mortar escape rooms being prevalent in nearly every major city across North America, consumers are at least familiar with the term and process, if they haven't already done one themselves. Your event could either be their first opportunity, or a new spin they've never experienced before. We make events better. We bring the escape room phenomenon to your event. People will ask: “Have you done the escape room yet?” It will create mystery & intrigue, making your event more dynamic and ensuring next years ticket sales are even easier. We are a source of additional entertainment for your guests; something new and memorable that creates the "wow" factor you're looking for. We diversify your event offering by creating a strong social component as well as an exciting shot of adrenaline that leaves a lasting impression. Once inside the room, guests experience an immersive and compelling room. They will undergo a series of puzzles hidden by locks and corresponding clues. Our current room "Private Eye" is set in another time period where we control the ambiance: from sounds and smells to tech and lighting. Can you picture us at your event?